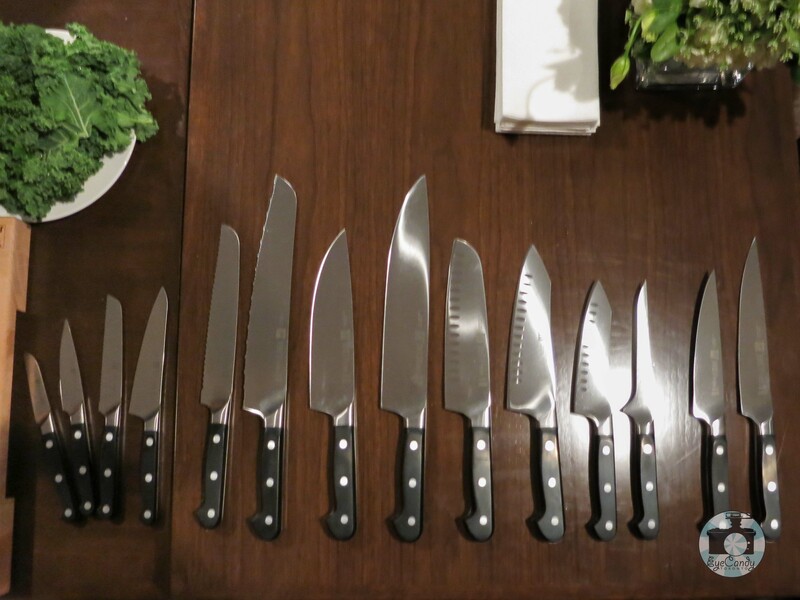 When I got the invitation from Zwilling J.A.Henckel to come for a night to learn some knife skills, I didn’t think twice of going. From the time that I was allowed to use knives, I was lucky enough to use Zwilling as it was my parent’s choice. When I finally have my own place, it was a must have. Hanging out with foodies and chefs I gained a thing or two in taking care of my knives but there’s always something more to learn. The event happened at Montecito the celebrated restaurant vision of Ivan Reitman and Chef Jonathan Waxman. I didn’t need any more reason to come, but the restaurant of choice indeed made me excited in anticipation. I was really excited and I came early. I found there were about 20 of us who received the invites and some of the invited foodies even brought their knives to the event. For a while I felt some remorse not packing up mine but it all faded away when the event started with Chef Jonathan Collins teaching us how to properly hold a knife. I am quite guilty of holding it the wrong way but he stressed out that the end of the blade should be pinched by the thumb and the index finger and the three fingers wrap around the knife’s handle. It does makes it a firm grip and I should really retrain my brain to hold it that way. What I found best about the event was learning how to properly sharpen my knife. I thought I was sharpening it with my honing stick but it does make a vast difference to use a sharpening stone. Consistently running the knife through the coarse side of the stone and then to the finer side brings the knife back as if it was brand new. And it does add on to the cooking pleasure. I do agree that with a good knife, more people would find it easier to cook as it makes the most laborious job easy. After all the lessons, we got more treats as the event continued on to a reception party with food by Montecito. We were on a function room suited with a bar in the second floor, quite impressive with its lofty textured ceiling and whimsy wallpaper, balanced out with a handsome bar. Towards the end of the room was a table spread of roasted rib-eye steak, grilled chicken with salsa verde, meatballs on polenta, roasted summer squash, beautiful pan fried rainbow trout on a iron cast skillet, kale salad, fried potatoes to name a few. My most favourite were the beef and the kale salad. The beef as it was beautifully pink and tender and the kale salad for its texture and freshness. I think I could actually finish a whole plate of that kale salad. Quite unusual for me as I am a self-confessed carnivore.